Anthea Butler, associate professor of religious studies and African American studies at the University of Pennsylvania, offers a sermon and the keynote address at Bates’ Martin Luther King Jr. Day observances. Photograph by Byron Maldonado. Want the latest events information? Visit the daily Events page. Questions or comments? Contact events editor Doug Hubley at calendar@bates.edu. Thanks for your interest in Bates! 12:30pm | Mindfulness of Breathing: The Dharma Society’s Buddhist meditation sessions take place most weekdays when school is in session. FMI 207-786-8272. Pianist Frank Glazer resumes his season-long series of concerts looking back at his favorite Bates programs on Jan. 13. Photograph by Phyllis Graber Jensen/Bates College. 6pm | Men’s basketball vs. Middlebury. 8pm | Women’s basketball vs. Middlebury. 2pm | Men’s basketball vs. Williams. 4pm | Women’s basketball vs. Williams. 6pm | Life drawing sponsored by the Museum of Art. Dry-media easels and drawing benches provided, bring drawing board and supplies. $7. FMI 207-786-6158. The Thinking Heart | 7:30pm: A performance piece based on An Interrupted Life, a collection of journal entries and letters by Etty Hillesum, a Dutch woman who died at Auschwitz at age 29. Writer and artistic director Martin Steingesser appears with actor Judy Tierney and cellist Robin Jellis. Presented in conjunction with L/A Arts, and with support from the Maine Humanities Council. FMI 207-786-6161 or batestickets.com. 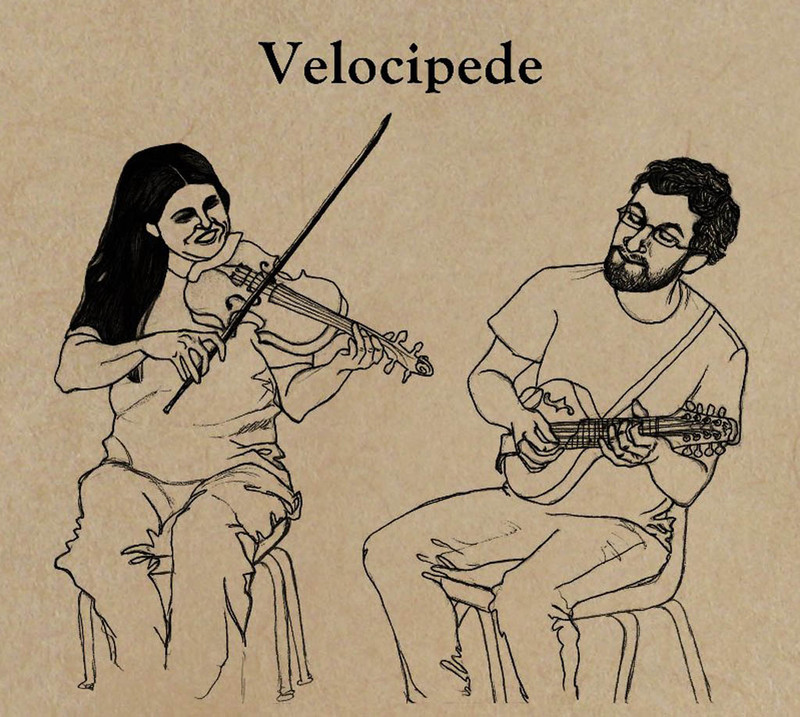 Julia Plumb ’05 and Baron Collins-Hill, aka Velocipede, play the Bates contradance in January. Artwork by Mia Bertelli. 6pm | Women’s squash vs. Bowdoin. Squash Center, 156 Plourde Pkwy. 7:30pm | Pitch Perfect (2012; 112 min.) Presented by the Filmboard. $1. 8pm | Contradance: New England folk dancing to the band Velocipede. All dances called. $5. FMI mpickof2@bates.edu. bates2012d4d.eventbrite.com. FMI kcloutie@bates.edu or 207-786-6202. 2 & 7:30pm | Pitch Perfect (see Jan. 11). 5:30pm | Catholic Mass, led by Fr. Paul Dumais. FMI 207-786-8272. 2 & 4:30pm | Pitch Perfect (see Jan. 11). 3pm | Frank Glazer: The fifth program in the pianist’s season of favorite music from three decades of Bates performances features Mendelssohn, Schumann, Liszt and Chopin. Admission, benefiting the Frank and Ruth Glazer Scholarship Fund, is $10 at batestickets.com. Some free tickets are available for seniors and students: FMI olinarts@bates.edu or 207-786-6135. 5:30pm | Protestant worship with gospel singing led by Stephen Saxon. FMI 207-786-8272. 4:15pm | City, Neighborhood and Society, Part One: Transforming Cities and Minds through Sustained Civic Engagement is a talk by Lorlene Hoyt, director of programs and research at the Tufts University-based Talloires Network, an international association of institutions committed to strengthening the civic roles and social responsibilities of higher education. First in a three-part series exploring social-science approaches to urban issues, presented by the sociology department with support from . FMI 207-786-8296. 6pm | Life drawing (see Jan. 9). Language Arts Live presents poet Brian Brodeur. 7:30pm | Brian Brodeur, author of 2012’s Natural Causes and two other prizewinning volumes of poetry, offers a Language Arts Live reading. 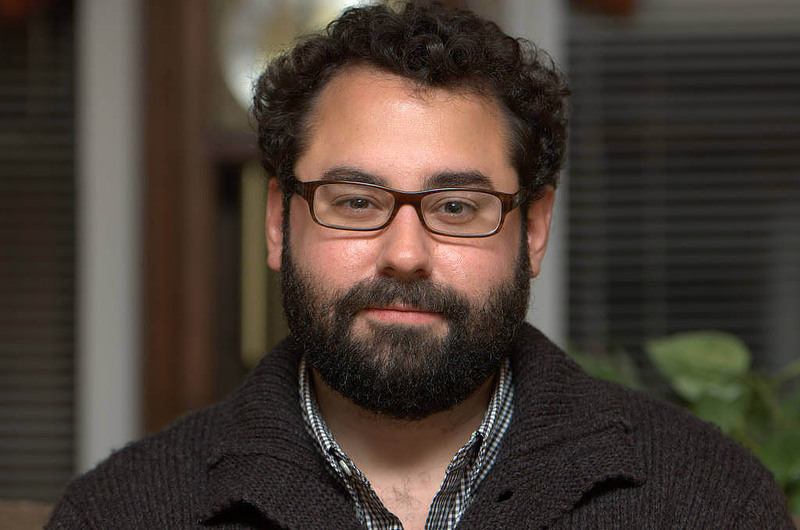 He is the Elliston Fellow in Poetry in the University of Cincinnati’s doctoral program in English and comparative literature. FMI 207-786-6256. 3pm | Indoor track and field, men’s and women’s: Bates Pentathlon. 6pm | Men’s basketball vs. Connecticut College. 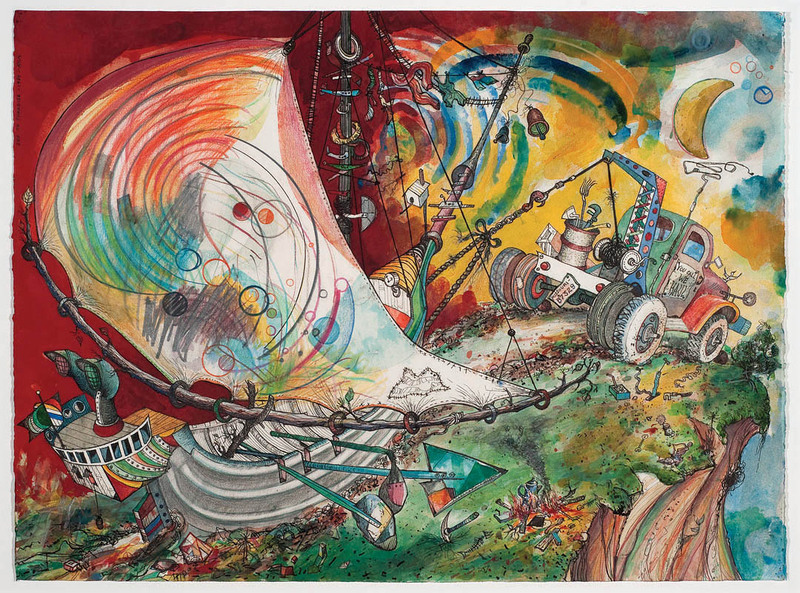 “Tow” is an image in mixed media on paper, c. 1980, from Robert Neuman’s “Ship to Paradise” series. 6pm | Ship to Paradise: A Museum of Art exhibition of Robert S. Neuman’s prints (see below) opens with a lecture by prominent Maine author and art critic Carl Little. A reception follows. FMI 207-786-6158. 6pm | Swimming and diving vs. Bowdoin. 7:30pm | Perks of Being a Wallflower (2012; 102 min.) Presented by the Filmboard. $1. 8pm | Women’s basketball vs. Connecticut College. Noon | Indoor track and field, men’s and women’s: Bates Invitational. 2pm | Men’s basketball vs. Wesleyan. 2 & 7:30pm | Perks of Being a Wallflower (see Jan. 18). 4pm | Women’s basketball vs. Wesleyan. 5:30pm | Catholic Mass (see Jan. 12). 1pm | The Corporation: An acclaimed film documentary about the ascendance of corporations in the U.S., including the Supreme Court decision affirming corporate “personhood.” Part of Bates’ observance of Martin Luther King Jr. Day. 2 & 4:30pm | Perks of Being a Wallflower (see Jan. 18). 4pm | Scarred Justice: The Orangeburg Massacre 1968: Award-winning filmmaker Bestor Cram screens and discusses his documentary about the police shooting of black student protesters at South Carolina State College. Part of the King Day observances. 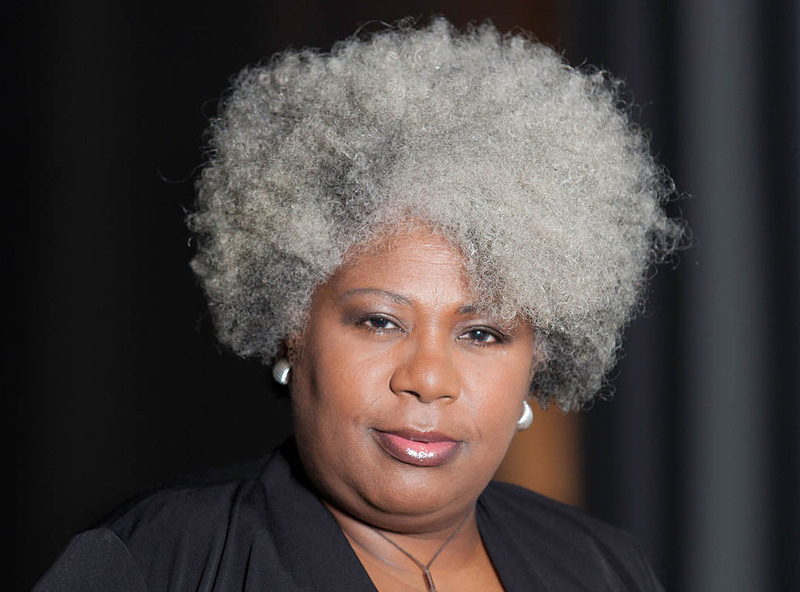 7pm | Anthea Butler, author of a study of the Pentecostal roots of Sarah Palin and associate professor of religious studies and African American studies at the University of Pennsylvania, is guest preacher for the Martin Luther King Jr. Day Memorial Service of Worship. Her talk is titled God and the 99 Percent. FMI 207-786-8272. 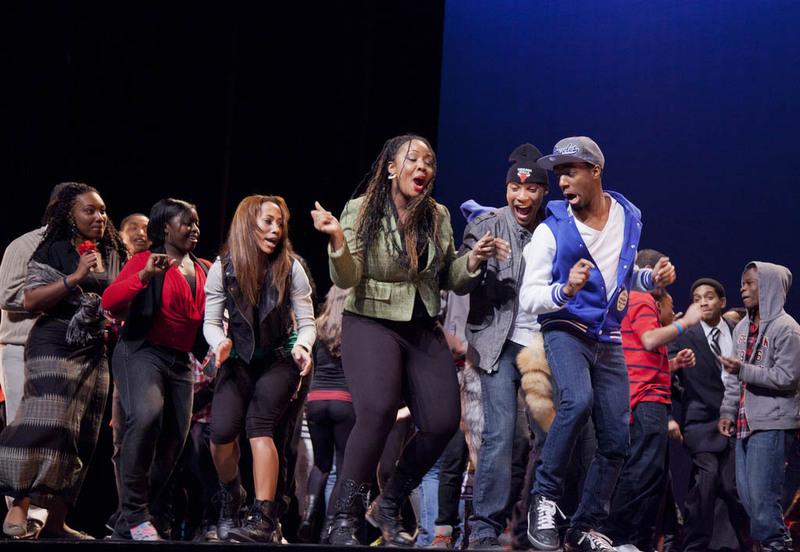 The 2012 Sankofa performance at Bates. Photograph by Phyllis Graber Jensen/Bates College. Martin Luther King Jr. Day: In observance of the holiday, classes are canceled and special programming takes place throughout the day. Bates’ 2013 King Day theme is Debt and Inequality: The Relevance of Dr. King’s Forgotten Economic Message. FMI 207-786-6400. 9:30am | Martin Luther King Jr. and America’s Bad Check: America’s poor in the 21st Century: University of Pennsylvania professor Anthea Butler (see Jan. 20) offers the keynote address for Martin Luther King Jr. Day observances. 11am–noon • 3–4:10pm • 4:20–5:30pm | Breakout sessions and workshops exploring Butler’s talk and other aspects of the day’s theme take place around campus. FMI bates.edu. 3pm | For Profit: Aaron Calafato wrote and performs this play based on his experiences working in a for-profit college admissions office. A Q&A follows the performance. Part of the King Day observances. FMI 207-786-8294. 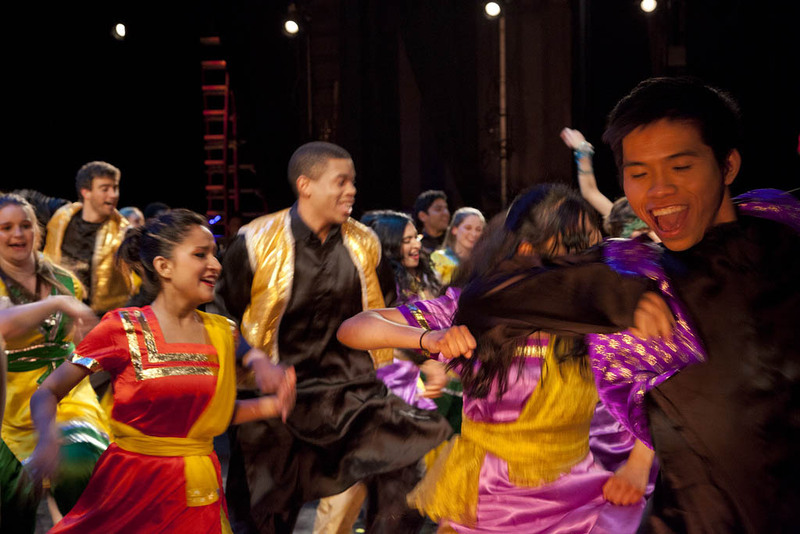 Large ensemble dances, like the one shown here from 2012, are among the high points of Asia Night. Photograph by Phyllis Graber Jensen/Bates College. 4:30pm | Arts Crawl: The third annual celebration of student literary, visual and performing arts features open studios, poetry, dance, all manner of music, theater, improv comedy and more. Refreshments. FMI 207-786-8212. 6pm | Men’s and women’s squash vs. Boston College. 7:30pm | Argo (2012; 120 min.) Presented by the Filmboard. $1. 7:30pm | Asia Night: Sponsored by the student organization Sangai Asia, this variety show spotlighting Asian culture and heritage gives a dazzling conclusion to a night devoted to the arts at Bates. 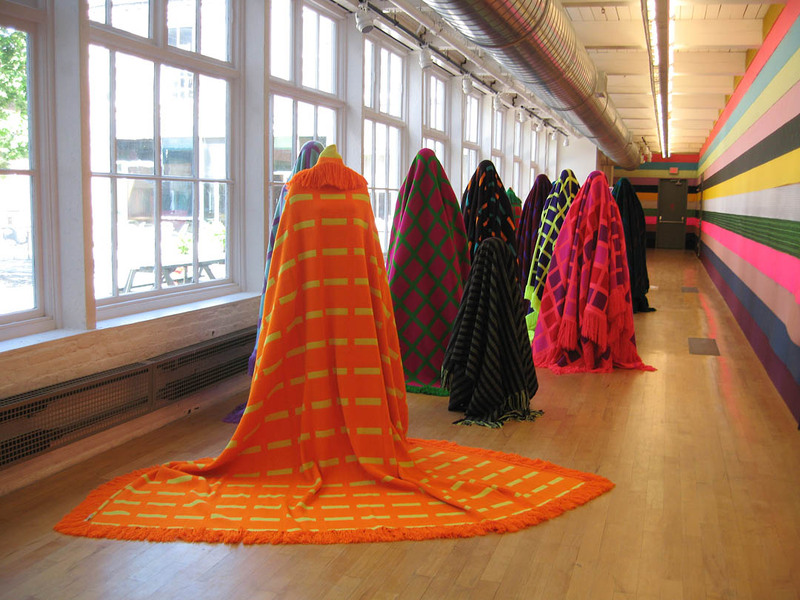 “Installation Figures, Colors First,” 2007, by Fransje Killaars. Exhibition at Mass MoCa, North Adams, Mass. 2pm | Men’s basketball vs. Tufts. 2 & 7:30pm | Argo (see Jan. 25). 4pm | Women’s basketball vs. Tufts. 5pm | Color at the Center: A reception opens an exhibition by acclaimed Dutch textile artist Fransje Killaars (see below). The exhibition is divided between the Bates museum and Museum L-A, in downtown Lewiston, and the reception takes place in both locations, with a shuttle connecting them. FMI 207-786-6158. 2 & 4:30pm | Argo (see Jan. 25). 5:30pm | Protestant worship (see Jan. 13). 7pm | Men’s basketball vs. Husson. Robert S. Neuman’s “Ship to Paradise”: This collection of prints is the artist’s personal exploration of a theme dating back to the Middle Ages: the folly and foibles of man. Informed by his reflections on the modern world and knowledge of seafaring and shipbuilding, Neuman’s intricate compositions recall the fantastical paintings of Hieronymus Bosch. Max Klinger: The Intermezzi Portfolio: Klinger’s 1881 Intermezzi, Opus IV, is composed of etchings and aquatints that explore desire, fantasy and death. Organized with assistance from Museum of Art intern Douglas P. Welsh ’14. Fransje Killaars: Color at the Center: A remarkable colorist who approaches textiles in provocative ways that are as much cultural as conceptual statements, Killars offers installations at the Bates museum, including a U.S. premiere, and at Museum L-A, in the former textile mill on Chestnut Street downtown where Bates-brand bedspreads were woven.